Iceland’s most popular attraction finally has its own five-star hotel, said Lyndsey Matthews in TownAndCountryMag.com. 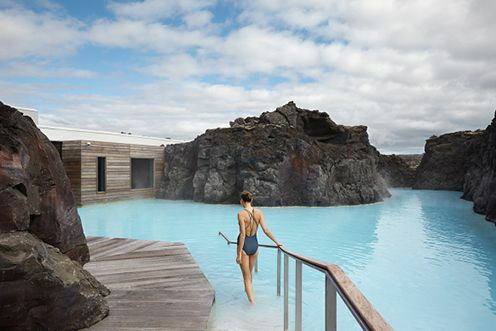 Built on a lava flow just 20 minutes from Keflavik Airport, the Retreat at the Blue Lagoon “blends in beautifully.” Each of its 62 suites has floor-to-ceiling windows looking out on moss-covered lava fields and the steaming geothermal springs. “The standout space is, of course, the spa,” which affords access to a section of the lagoon where guests can have secluded lava coves all to themselves. You can even get a massage while floating in the lagoon’s silica-rich waters. The family-owned Tanque Verde Ranch near Arizona’s Saguaro National Park is celebrating its 150th anniversary with a two-night special through August. A deluxe desert casita starts at $150 a night, down from $185, with breakfast included. Book by June 27 to save $200 on Fleetway Travel’s eight-night tour of Spain and Gibraltar in November or March. The package includes airfare from New York, a stop in Barcelona, and a night on a yacht hotel. From $999 a person. The Westin Cape Coral Resort, set in a marina offering access to serene waters for fishing, sailing, and kayaking, is offering free fourth nights in early July plus $100 in resort credit. Rooms start at $167 a night. Use promo code ZS4.